Beautiful products, amazing leather and a super nice team - when we met HEVAN at the HaHaHo market in December we were hooked. Their design is rooted in traditional East Anatolian craftsmanship which becomes then reinterpreted with contemporary aesthetics. All their products are hand-made in Berlin. With loads of love. 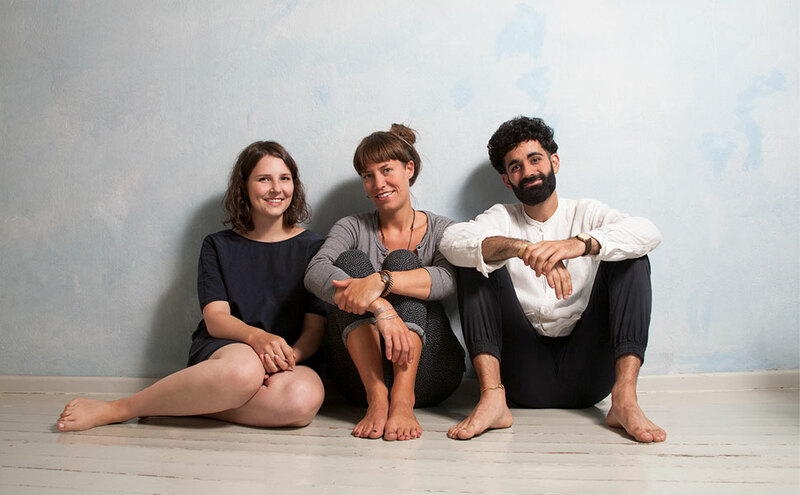 Today we will get some insights into the Berlin favorites of Ali Can, Theresia Kimmel & Lisa Ribler - the three founders of HEVAN. Enjoy! Ali: Born and raised Köln, I wanted to gain a new perspective and to get the big picture. So I took the opportunity and moved to Berlin in 2009. The best decision of my life. Theresia: My whole family moved here in 2000, so I didn’t really have any impact on this. However, I’m really happy about my parents decision. Lisa: I came to Berlin about seven years ago. After studying art in France, Berlin was the city I saw the biggest potential in terms of art and educational participation. Theresia: Many things will get even more expensive, but I really hope, that the city will still retain most of its charm and won’t become too clean. Lisa: Well, the worst case would be an even stronger gentrification, like what happened in many other european cities. At best, Berlin will stay an amazing, open and creative city with many great, active people. Lisa: At the moment it's Hallesches Haus. Ali: Just recently, I took my parents to ‚Jüdisches Museum‘, ‚Martin-Gropius-Bau‘ and ‚Tempelhofer Feld‘. With my brother and my friends I like to visit the different districts of Berlin and show them their versatility. Last time, for example, we went to Dong-Xuan-Center in Lichtenberg. Theresia: I like to take my friends and family to see ‚Prinzessinnengärten‘, ‚Schaubühne‘ or beautiful ‚Heiligensee‘ in Potsdam. Lisa: We like to visit ‚Gorki Theater‘, ‚Ballhaus Naunynstrasse‘, ‚Hamburger Bahnhof‘ and ‚Gemälde- and Nationalgalerie‘. Ali: I like going to ‚Il Casolare‘ located at ‚Admiralsbrücke‘ or ‚Baba Angora‘, which is just around the corner from our place. Theresia: A friend of mine worked as a chef at the koran restaurant ‚Yam Yam‘ in Mitte, it’s so good! ‚Chay Village‘ in Schöneberg is great too. Intrigued? Find out more about HEVAN and their hand crafted leather goods here.